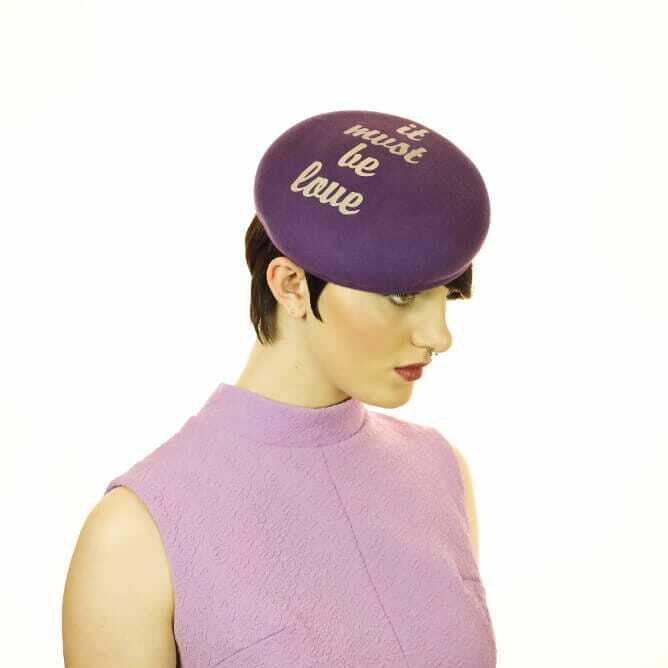 Hand blocked wool felt hats decorated with lyrics from my favourite love songs! I use traditional craft to make all my hats. This collection is all hand blocked by myself using my beloved vintage hat blocks. 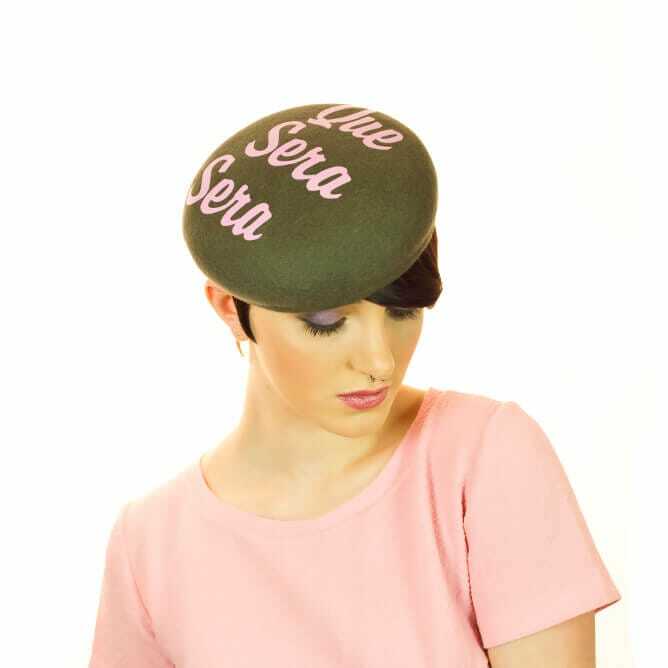 This hat is available in the following colours: purple, grey, black, red, brown, pink and navy. You can use the songs featured in the images or pick your own! Please state your song/wording preference in the comment box at checkout when placing your order.